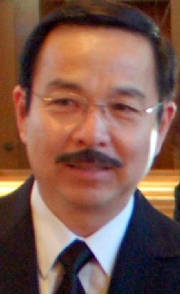 is a small, privately-managed Independent Company duly registered with the Commonwealth of Pennsylvania as a legally-operating business entity engaged and specializing in the sales, marketing, and promotion of the Travel and Hospitality industry and related Services, in general, but is acting as the Marketing arm of TravelKonsult- a Philippine-based Company with its own large network of Independent Travel Contractors / Tour Operators. Ever dreamed of becoming a professional Travel Agent?... now you can try yourself out. If you like to travel and is endowed with the ability as a "seller of dreams", join us in our team as one of our member-network of Independent Travel Contractors. Just give us a call, or better still- drop us a short message to express your interest and we'll get in touch with you. a U.S.-based Host Agency to which we are affiliated with since 2006. 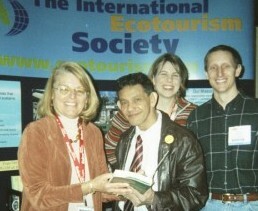 EDWIN V. GATIA receiving a book copy from the author, Dr. Martha Honey, Executive Director of The International Ecotourism Society (TIES) during the "TravelExpo2005" held in New York City. 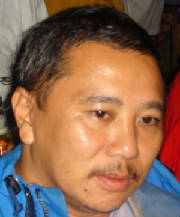 Mr. Gatia is also a member of the Society since 2005. Mr. Gatia is also a member of the American Society of Travel Agents (ASTA) under the Future Travel Professional category.